This table design has a 2′ leaf at either end. 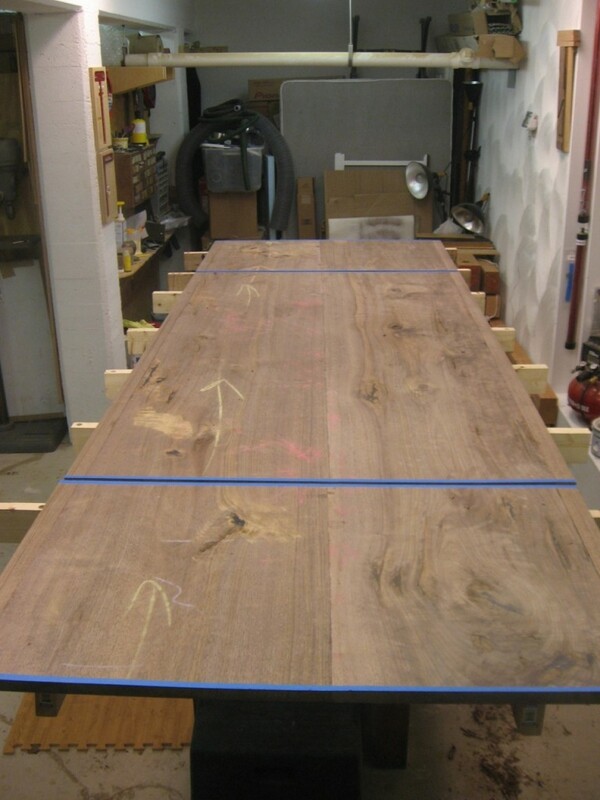 Now that I have the whole top glued up (10.5′ long!) – it’s time to rip off the two leaves. 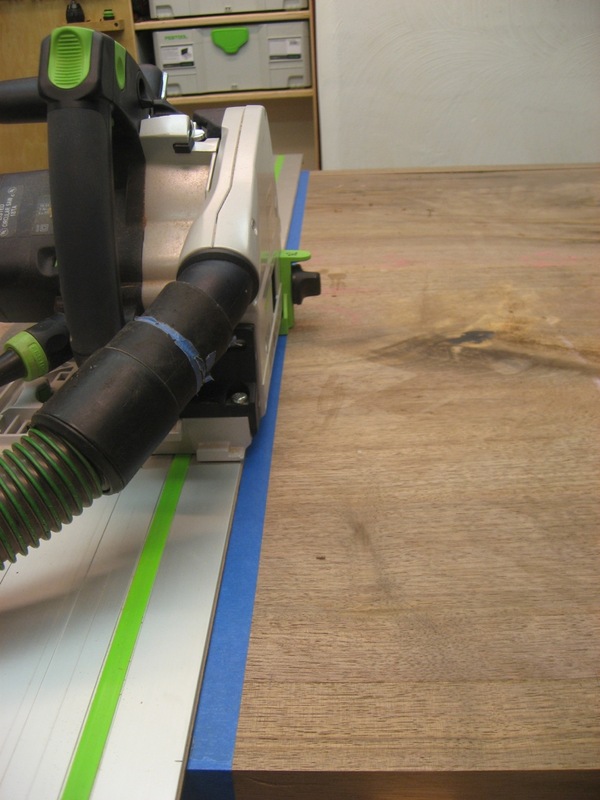 I use my Festool TS55 and rail to correctly line up where the cut will go. 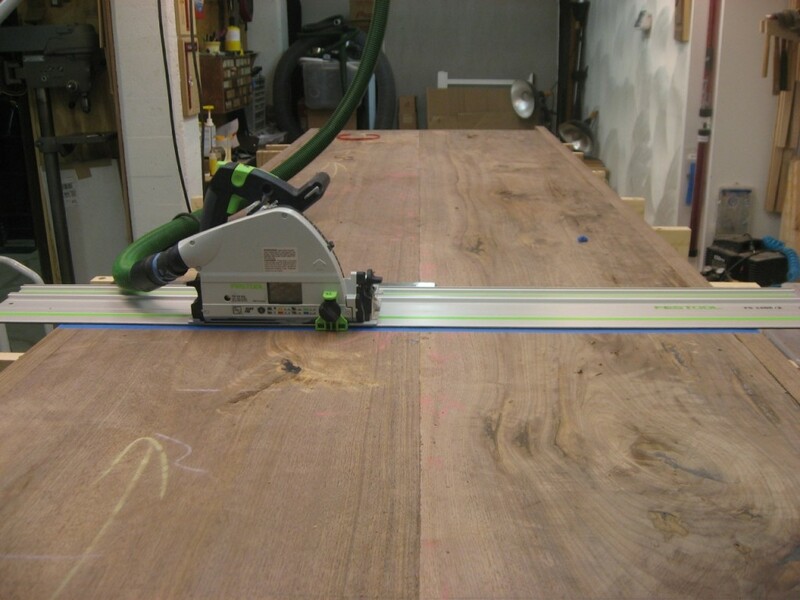 I have only one shot at this – so although the rail has never slipped on me, I add two rail clamps to secure it. I’ve never had tearout using the TS55 + rail, but I also add a line of blue tape down the cut line and a new splinter guard just to be sure. Here we go! Four cuts later (two to cut off the leaves and two at the very ends), and I’ve got my final table top! Very nice. I love those saws! The Plane Facts: The Lie-Nielsen #103 Block Plane October Wood News: Ready to Read!